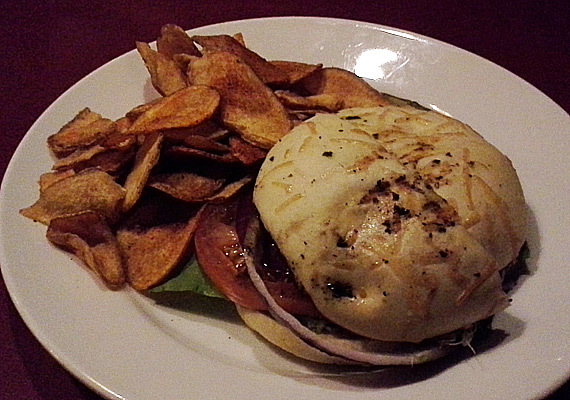 Posted on Feb 25, 2013 by Appleton Downtown Inc.
Stone Cellar Brew pub features great sandwiches and a whole lot more. Food in the Fox recently dined at Stone Cellar and review their service and the Portabella Melt. Our waitress was a bright spot in the relative gloom of the cellar’s dark atmosphere. She was bright, friendly, informative, and quick. The food was another bright spot. 1004 S Olde Oneida St.